Recent Research Indicates Medications such as Tamoxifen or Raloxifene Considerably Reduce the Risk of Developing Breast Cancer in Post-Menopausal Women. MapleLeafMeds is a Reputable Source for Quality Drugs like Tamoxifen that Doctors Believe May Slash the Risk of Breast Cancer by Up to 43%. Vancouver, BC April 1, 2011 – A recent article in the Lancet Oncology by a panel of cancer experts concluded that women in the higher risk categories for breast cancer could benefit from drugs such as tamoxifen as a preventative treatment. 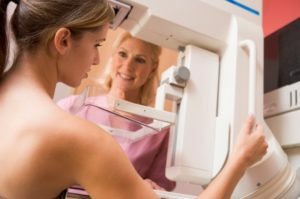 This international group of cancer specialists estimates that around 10% of women considered at risk for breast cancer would benefit. Maple Leaf Meds is a reputable online pharmacy that provides American and Canadian patients with affordable access to many medications including tamoxifen. Approved by the US Food and Drug Administration (FDA) as a preventative breast cancer therapy, tamoxifen has been supported by many clinical studies that show this drug reduces estrogen-receptor positive invasive breast cancer by as much as 43%. Similarly, raloxifene has also been recognized by the FDA for its breast cancer preventative effects. While it appears the effects of raloxifene are not as robust as tamoxifen (only reducing the risk of invasive breast cancers by around 23%), raloxifene is also associated with fewer side effects. Currently, tamoxifen is only recommended for women who have a 4% or higher risk of developing breast cancer within 10 years because of severe side effects such as a higher risk of uterine cancer and blood clots. Currently, there are several less toxic drugs undergoing clinical trials to determine their effectiveness for preventing breast cancer. Arimidex and Aromasin are aromatase inhibitors that look promising for preventing breast cancer. As such, as many as half of post-menopausal women may eventually be prescribed these medications as breast cancer prevention therapy. Nevertheless, a major concern for many American patients is affordability of such medications. At the moment, Americans on average pay twice as much for prescriptions from local pharmacies as consumers in other industrialized countries. As a direct result, many of these patients are looking online to Canadian pharmacies such as Maple Leaf Meds for an affordable alternative for prescriptions like tamoxifen and raloxifene. Such online pharmacies offer a wide range of safe and effective prescriptions for a fraction of the cost, sometimes representing savings upwards of 70%. Predicting the benefit of breast cancer preventative medicines like tamoxifen and raloxifene allows doctors to target women who are most likely to respond. Increased breast density is one factor that appears associated with an increased risk of cancer. Indeed, early trials show that the risk of cancer decreases when tamoxifen is shown to decrease density. Still, at the moment doctors are careful to utilize these preventative treatments only in female patients in the highest risk groups for developing breast cancer.